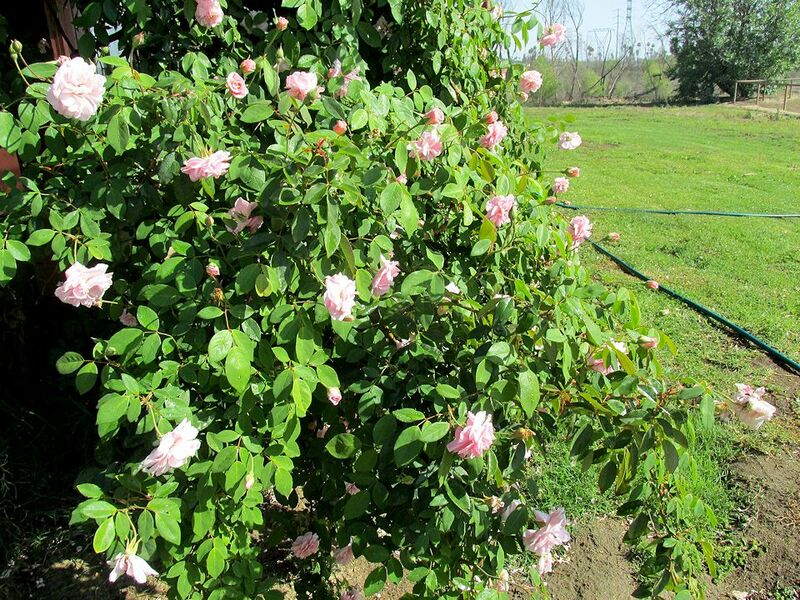 Our Cecile Brunner, otherwise known as the Sweetheart Rose, is in full bloom. 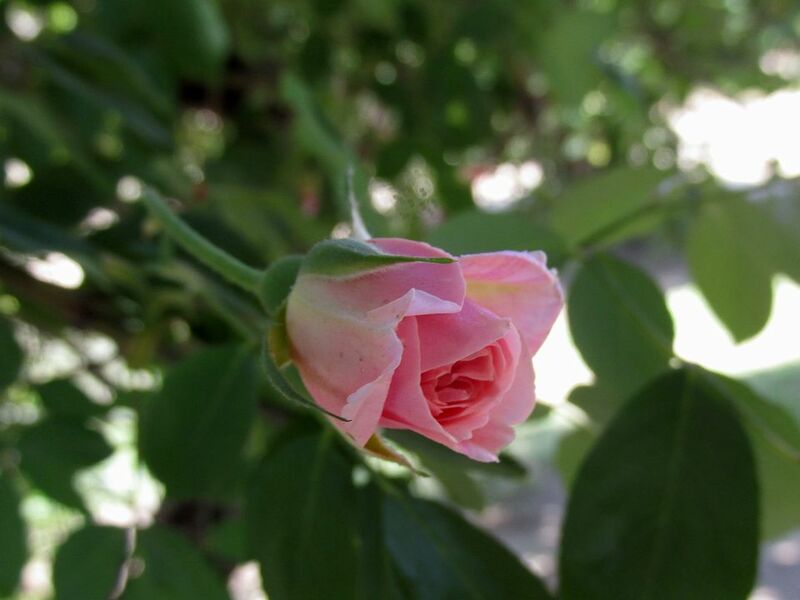 It’s a very old rose variety. 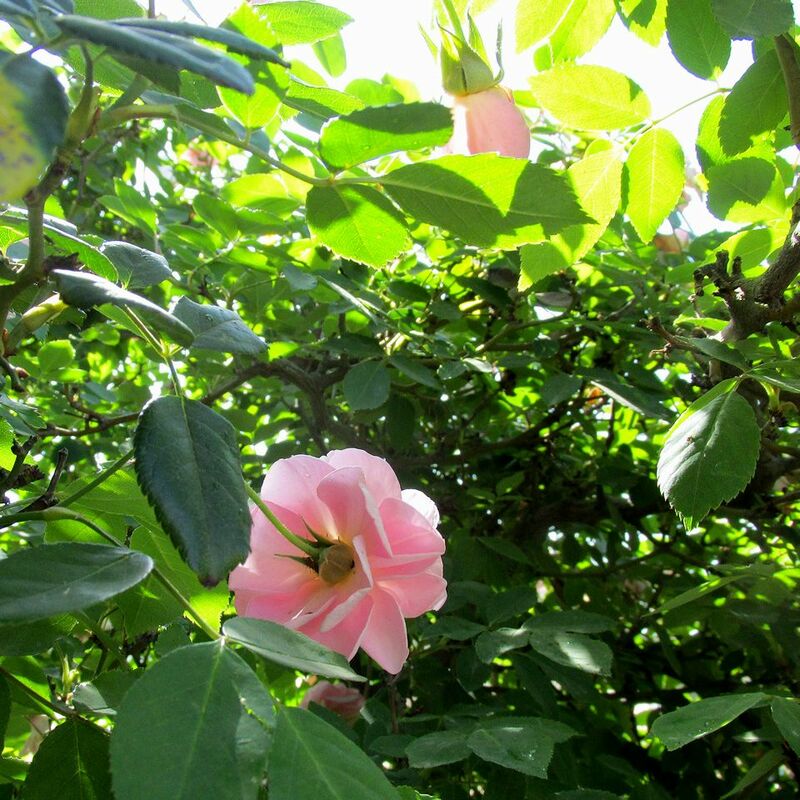 One bloomed in our yard more than fifty years ago, and it was an old rose then. 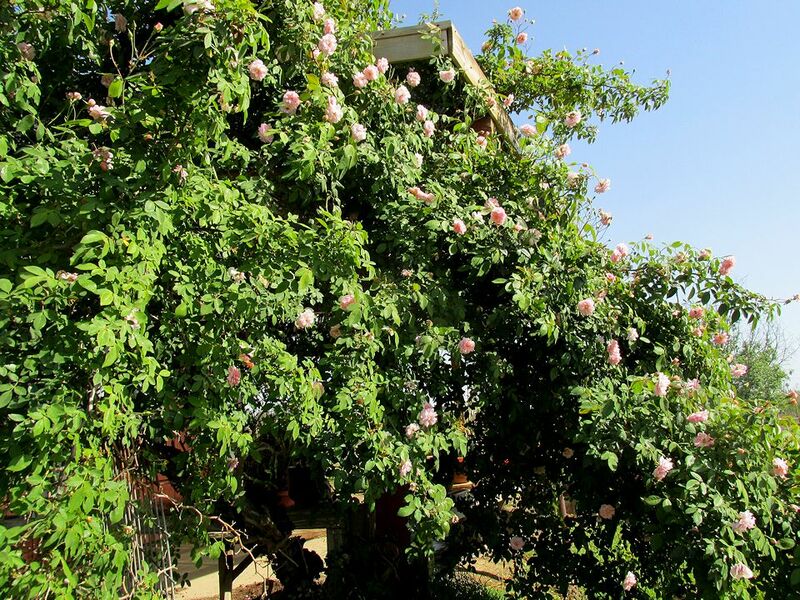 This climbing Cecile has survived being blown over in a windstorm, the big fire, drought, and dust. It’s doing just fine. Here, it’s grown through the holes in the patio shadecloth that were burned in the wildfire. 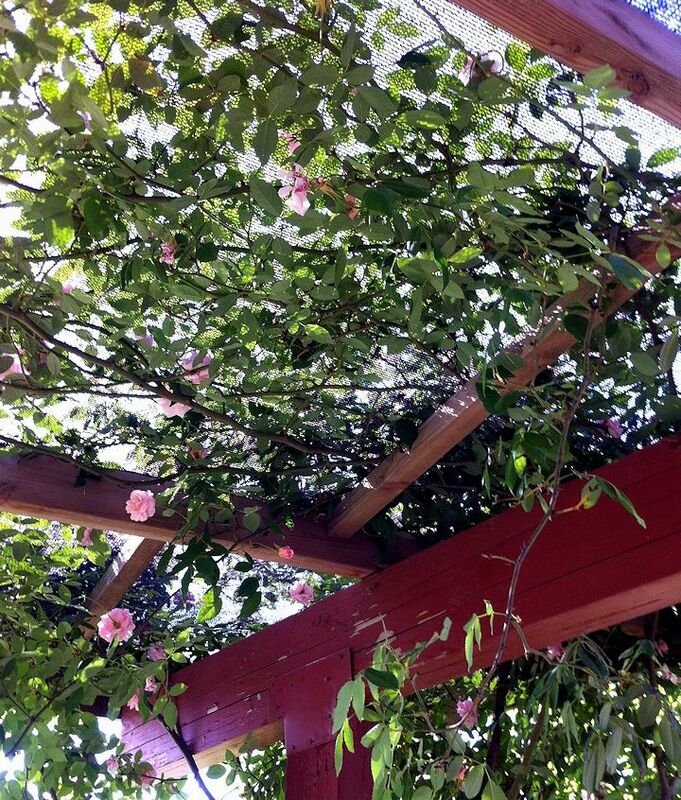 It used to form a canopy over half the patio, and birds loved to nest in it. They knew they were absolutely safe; Cecile’s a thorny girl. She’s on her way to providing refuge again. It’s beautiful up close. It’s hard to believe the buds are the size of a finger tip. It’s even lovely from the back. Its only fault is that it hasn’t got much scent. But then, who’s perfect?